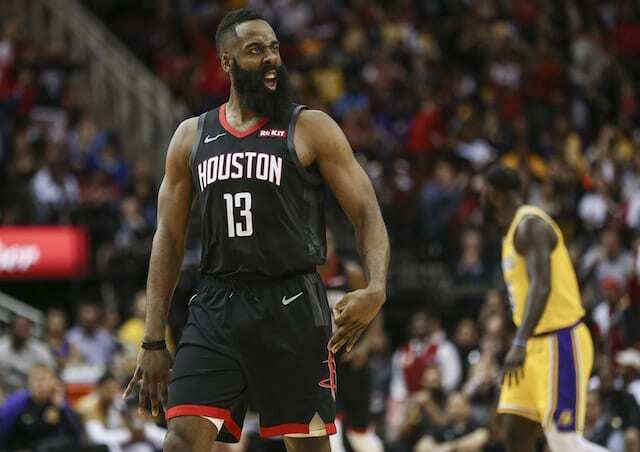 The Los Angeles Lakers, fresh off their best win of the season, continue their road trip when they take on James Harden and the otherwise unhealthy Houston Rockets. Slowing the Rockets down starts and ends with Harden, who is on an absolutely ridiculous scoring run. His streak of 19 straight 30-plus point performances all started against the Lakers on Dec. 13. Over a month later, he’s still on fire. The Lakers, as previously stated, are coming off of their best game of the season, a 138-128 overtime win on the road against the Oklahoma City Thunder. 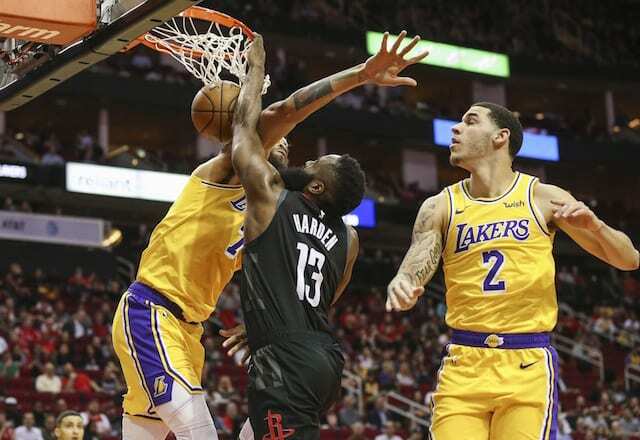 Stopping Harden down will be impossible, he’s simply too skilled offensively for it, so the Lakers will have to settle for attempting to contain him. That job will likely be tasked to many players throughout the night. This will be not only to keep people fresh when guarding him, but it will also avoid getting players into foul trouble, as Harden got to the line 19 times in their last meeting. Kentavious Caldwell-Pope, Josh Hart, Brandon Ingram, Kyle Kuzma, and maybe even Lonzo Ball will possibly see minutes guarding Harden, and according to Lakers head coach Luke Walton, keeping him under 50 points may be the main goal. The Rockets are currently dealing with a major injury bug, leaving Chris Paul and Clint Capela sidelined for what could be a lengthy period of time. Eric Gordon was also dealing with knee problems, but he is probable for the matchup, so he will be a player to watch for. On the offensive end, the Lakers must take what they did against the Thunder and replicate it. The Rockets are a significantly worse defensive team than the Thunder, ranking in the bottom five in the league. This will only be amplified in Capela’s absence. It seems likely the Lakers will continue starting Caldwell-Pope over Hart, but there perhaps is an argument to made over who should start at center. Tyson Chandler recently supplanted JaVale McGee, but Ivica Zubac is coming off the best game of his career. This is a winnable game for the Lakers, but the focus must be on Harden. If they can keep him off the free throw line and keep him from scoring 50 points, the Lakers could find themselves 2-0 on one of their most difficult road trips of the year.